Big players such as Google and Amazon enter the Italian market, at the same time the solutions developed by the startups increase with products often complementary to those of the well-known brands. The first products appear on the stores shelves (physical and online stores) and the consumers’ interest in advanced solutions grows but these solutions must guarantee security and privacy. 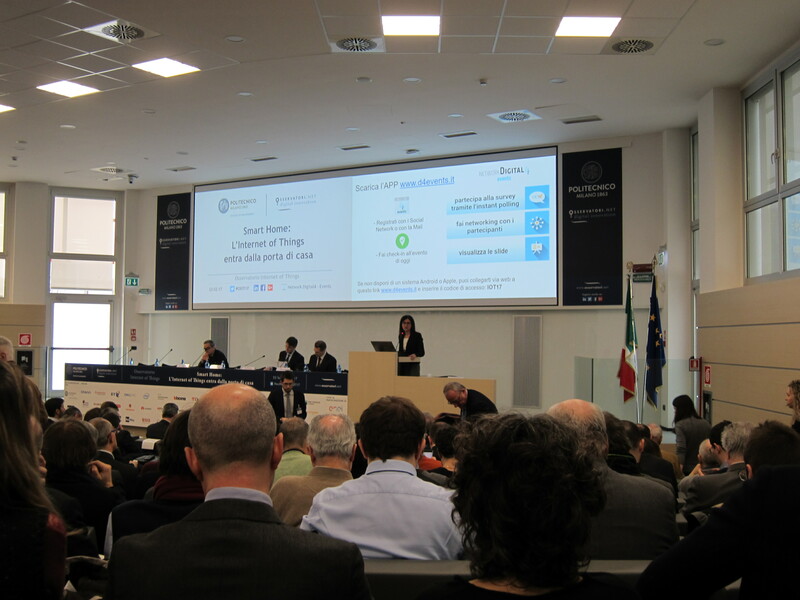 According to the research “Smart Home”of the Internet of Things Observatory (School of Management of Polytechnic Milan), the IoT enters the Italian homes and the market of the solutions for the smart home is worth 185 million euro in 2016 in Italy, +23% over the previous year. But its potential is enormous and is still largely to be developed. The 82% of the market regards the traditional sales channel, consisting of installers and distributors of electrical material, but the importance of the “new” channels is growing such as retailers, eRetailers and insurances which together account for 18% (about 30 million euro) . In addition, in the recent months the “Over The Top” players are entering the Italian market with hub equipped with vocal assistant for the dialogue with the connected objects (Google Home, Amazon Echo): the entrance of the big brands will push the smart home development, will make it easier the interoperability between different objects (which is still a big barrier) and will be a key factor in order to increase consumers’ confidence. “The Smart Home applications allow to collect a lot of data on the connected devices operation and on the users’ behavior: this will be one of the crucial aspects for the market development, although the strategies to obtain added value from the data are not many defined by the companies – said Giulio Salvadori, a researcher of the Internet of Things Observatory -. And it is essential to pay close attention to privacy and security, because consumers are reluctant to share their data, unless they receive tangible benefits”.